McAfee Data Protection - ponuda na upit. Safeguard critical data and help ensure regulatory compliance with McAfee Data Protection solutions. Available individually or in suites, McAfee Endpoint Encryption and McAfee Data Loss Prevention solutions provide multilayered protection for your data regardless of where it resides — on the network, in storage systems, or at the endpoint. As an integral part of our Security Connected framework, McAfee Data Protection solutions are fully integrated with McAfee ePolicy Orchestrator (McAfee ePO) software, which unifies and simplifies data security management for a wide range of McAfee enterprise security solutions. Confidently prevent data loss, stay ahead of threats, and manage data protection efficiently and effectively. 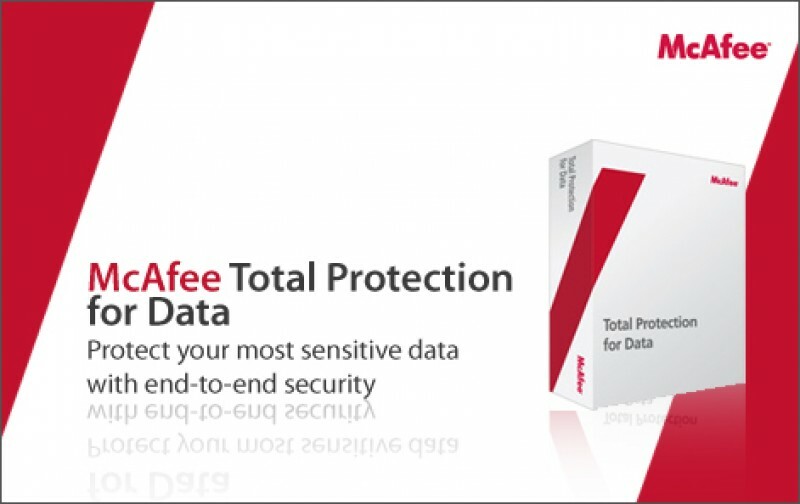 McAfee Total Protection for Data provides comprehensive data protection for endpoints. Strong encryption, data loss prevention (DLP), policy-driven security, and a robust management platform help block unauthorized access to your sensitive information and prevent data leakage — anytime, anywhere. McAfee Total Protection for Data Loss Prevention (DLP) safeguards intellectual property and ensures compliance by protecting sensitive data wherever it lives – on the network, in storage systems, or at the endpoint, while saving time and money with centralized deployment, management, and reporting. McAfee Endpoint Encryption delivers powerful data encryption integrated with centralized management that helps prevent unauthorized access and loss or theft of sensitive data. Endpoint Encryption software enables data protection anytime, anywhere with managed disk, file, folder, removable media, and USB encryption solutions. Comprehensive device and data management — Control how users copy data to USB drives, iPods, recordable CDs and DVDs, Bluetooth and infrared devices, imaging equipment, COM and LPT ports, and more. Granular controls — Specify which devices can and can’t be used, define what data can and can’t be copied onto allowed devices, and restrict users from copying data from specific locations and applications. Centralized management — Centrally define, deploy, manage, and update security policies and agents throughout your enterprise. Set device and data policies by user, group, or department. Advanced reporting and auditing capabilities — Support compliance with detailed user- and device-level logging. Gather details such as device, time stamp, and data evidence for prompt and proper audits.